Many low power and/or ambulatory data collection devices output a derived IBI series rather than the ECG waveform itself. 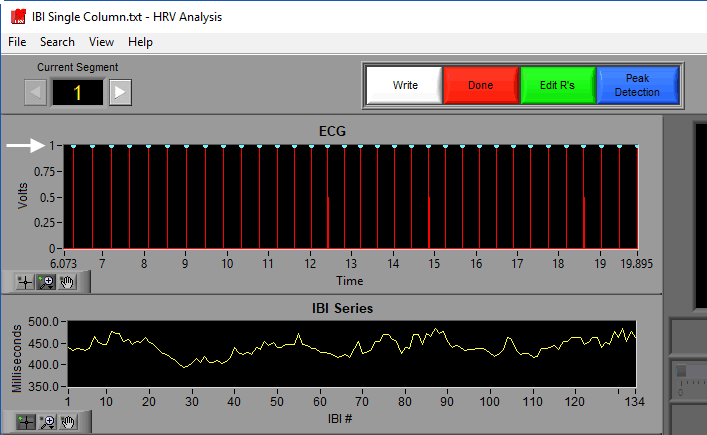 For these situations, the HRV application supports analysis of an IBI series directly. Open the IBI file the same way you would open a different type of data file, and follow the instructions listed here for the IBI Import Wizard to properly load your specific IBI file. 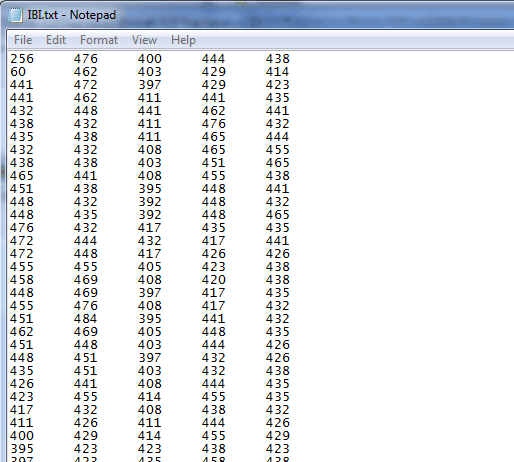 When analyzing the IBI data, the timing of each beat will be presented as a peak with an amplitude of 1 volt. 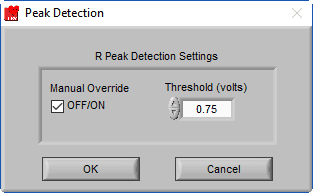 Manual Override peak detection is enabled by default with IBI files and set to a Threshold of 0.75 volts to ensure all of these peaks are detected. All analysis tools, including the Signal Editor, can be used with the IBI series in the same way that they are used when an ECG signal is loaded.